New Delhi: India's air strike deep inside Pakistan early on Tuesday had been decided almost week ago in a high-level meeting headed by Prime Minister Narendra Modi. While the Indian Air Force (IAF) was preparing for air strikes, security forces were asked to get ready for post-attack reactions in Jammu and Kashmir. Immediately, 10,000 security forces personnel were sent to the state as a precautionary measure to handle the situation. The Central Reserve Police Force (CRPF) was removed from soft postings like hospitals, courts and other places in Jammu and Kashmir. These installations were taken over by forces like the Sashastra Sena Bal (SSB) and Indo-Tibetan Border Police (ITBP). The CRPF was asked to deploy in sensitive areas where India was expecting retaliation from Kashmir’s infamous stone-pelting mobs. Separatist leaders, who may disturb the law and order situation in the Valley, were arrested and their security cover removed. Some separatist leaders were taken out of Jammu and Kashmir so that they cannot influence mobs against India’s air strikes scheduled just a few hours after the inauguration of the national War Memorial in Delhi. While the security forces well gearing up for law and order situation in Jammu and Kashmir, Intelligence Bureau was asked to gather information on the probable hideouts of terrorists in the Valley. After the arrest of the separatists, the security forces carried out two encounters in Jammu and Kashmir with the help of input of local police and Intelligence Bureau — which gives a clear message that India will wipe out terrorism not only inside Jammu and Kashmir but also from Pakistan-occupied Kashmir. According to sources, just 24 hours before India’s pre-decided airstrikes, the CRPF and Jammu and Kashmir Police were deployed in sensitive locations with all weaponry and equipment. Meanwhile, the Border Security Force deployed along the border has been asked to be on high alert as India is expecting retaliation from Pakistan. According to sources in Kashmir, Pakistan has been violating the ceasefire continuously for the past 48 hours. In December 2017, Abdullah, son of Maulana Masood Azahar, underwent an advance terror training. Subsequently, he was put through a 10-day refresher training. This facility at Balakot was headed by Maulana Yousuf Azhar (alias Ustad Ghouri), the brother-in-law of Masood Azhar, Chief of JeM. Sources claim that the plan for Pulwama attack was made in Balakot. Mastermind Ghazi was trained here. The complex had five or six barracks with close to 300 terror recruits present at any point of time. More structures were being constructed in the area. This is Balakot in Mansehra district, Khyber-Pakhtunkhwa province, and not near LoC. Recently, 60 JeM terrorists visited the Balakot terror-training camp. 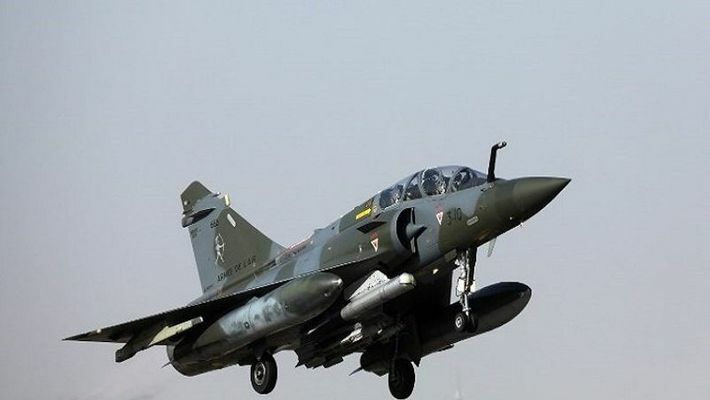 Hours after the Indian Air Force (IAF) reportedly these Pakistan-based terror camps, sources said that a Pakistan drone was shot down along the Kutch border on Tuesday at 6.30 AM. It is not known yet whether the drone takedown was part of India's pre-dawn airstrike.